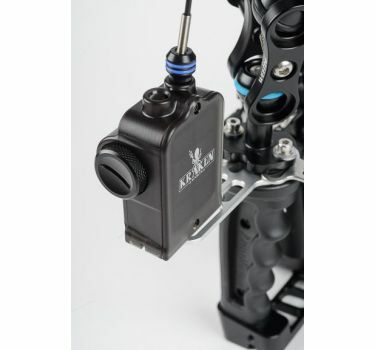 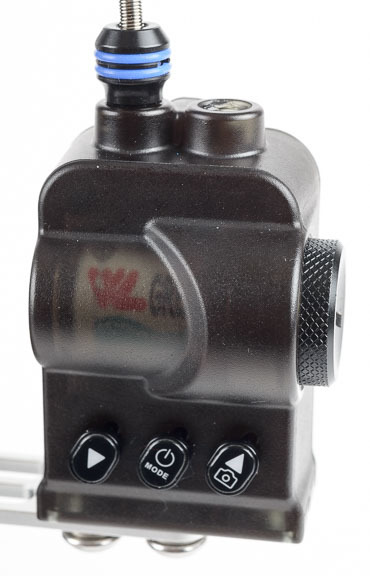 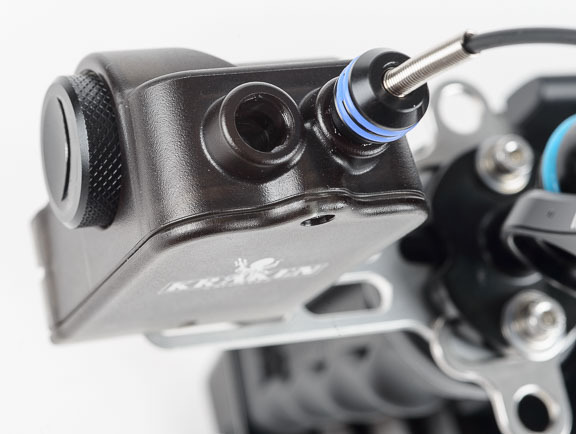 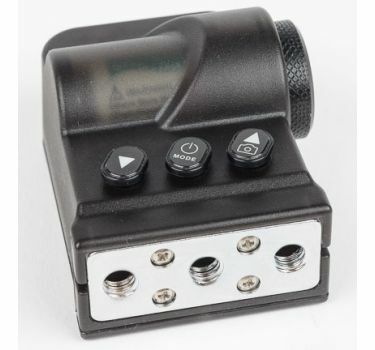 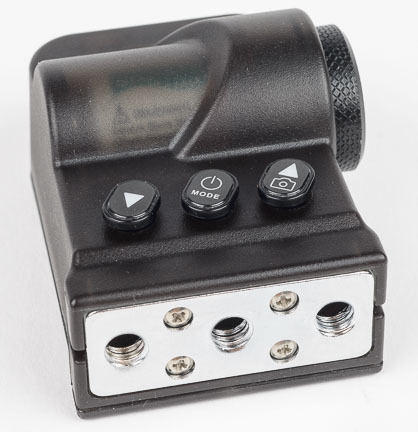 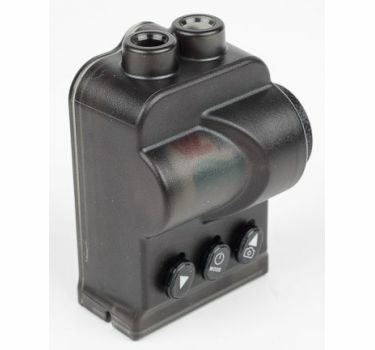 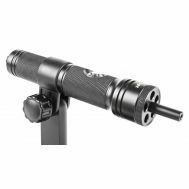 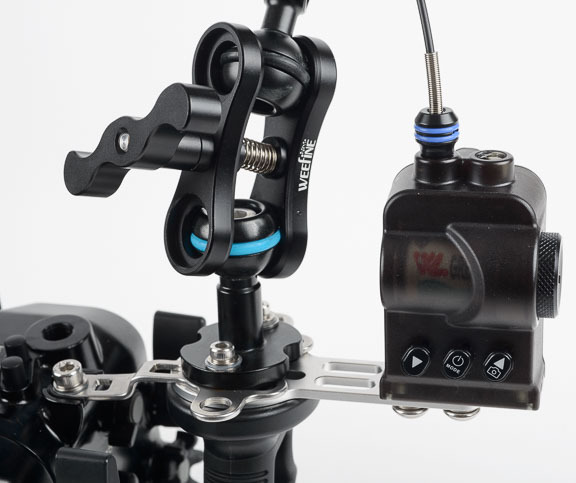 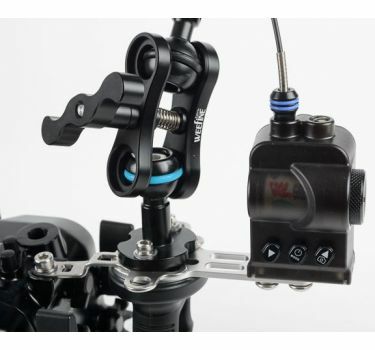 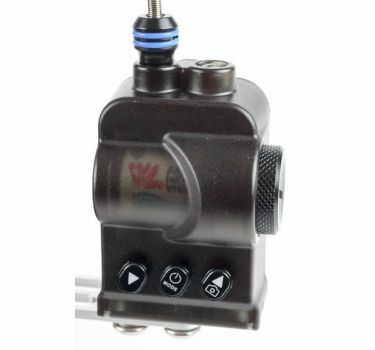 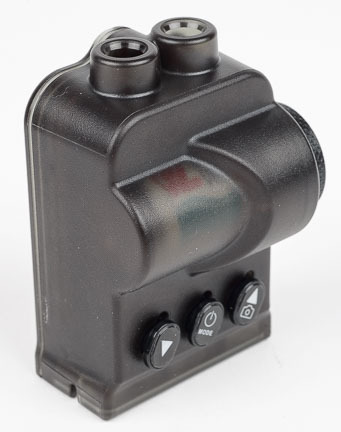 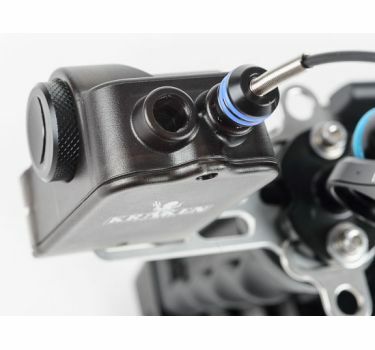 Mounts with 3 1/4-20 threaded holes on the bottom and uses a small lithium battery for power. 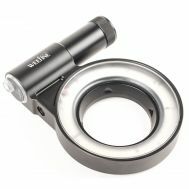 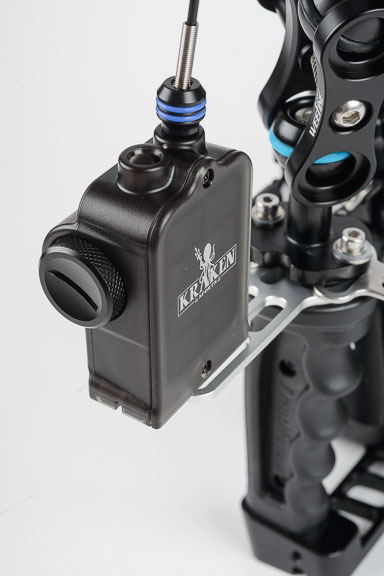 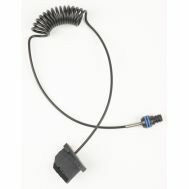 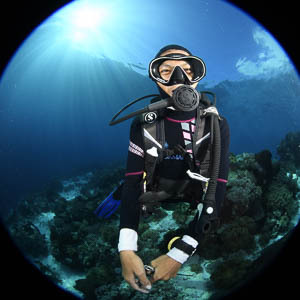 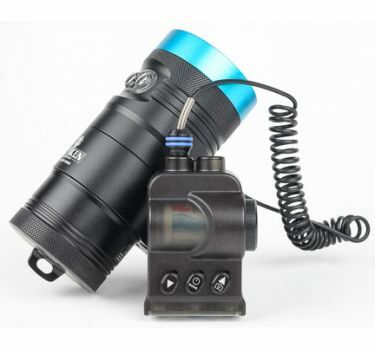 It can be mounted with an optional universal mount to i-DAS HD-GN-T, Nauticam or other flat-mounted handles or trays. 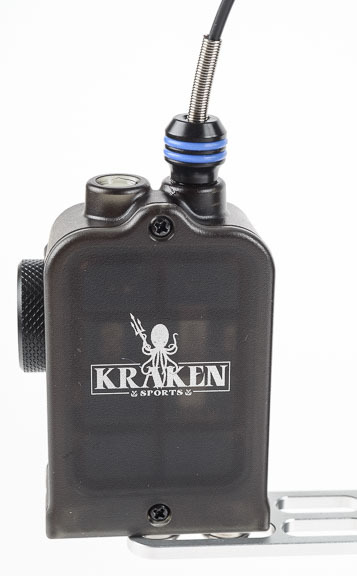 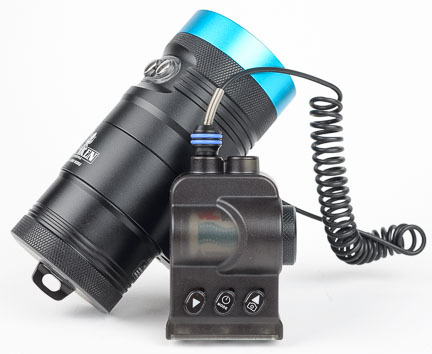 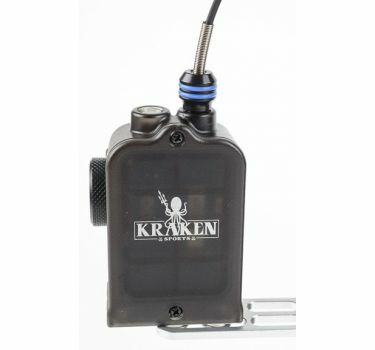 Compatible with Kraken 2800, 3500, 5000 and SolarFlare Mini & Max lights.